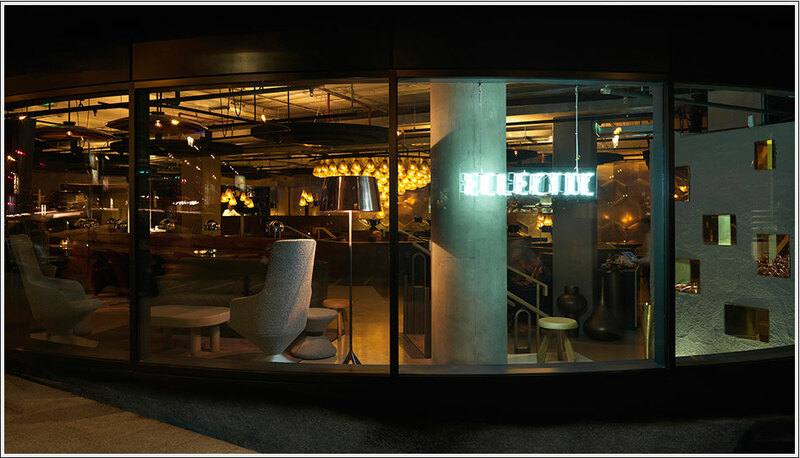 Eclectic is Tom dixon and Tom dixon is Eclectic. 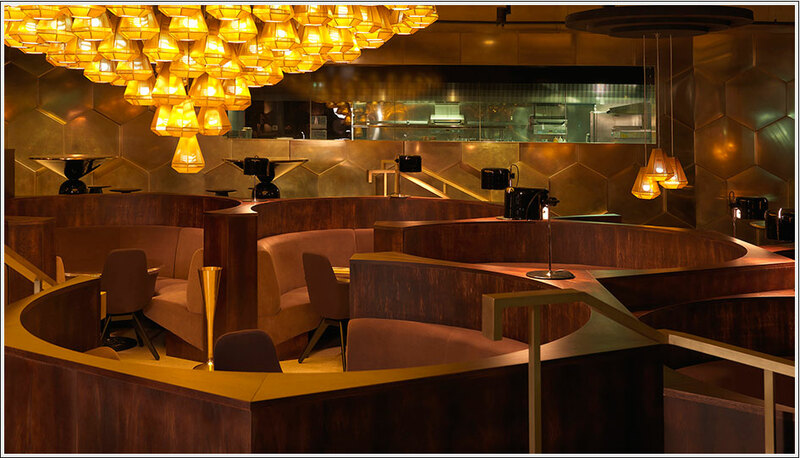 All the universe of Tom Dixon is represented in this restaurant, his lighting, accessories, his eccentric British touch, metal and 70′s inspiration. 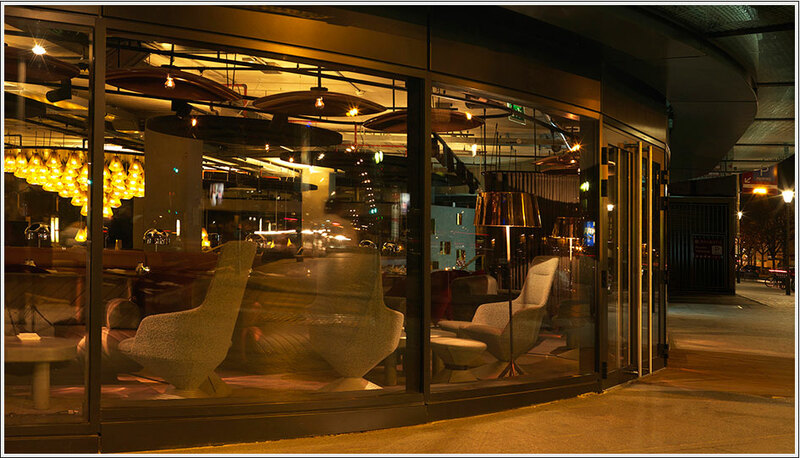 The huge space, however remains chic and warm and looks like a cosi cocoon. A little bit of Portobello Dock is coming to town. 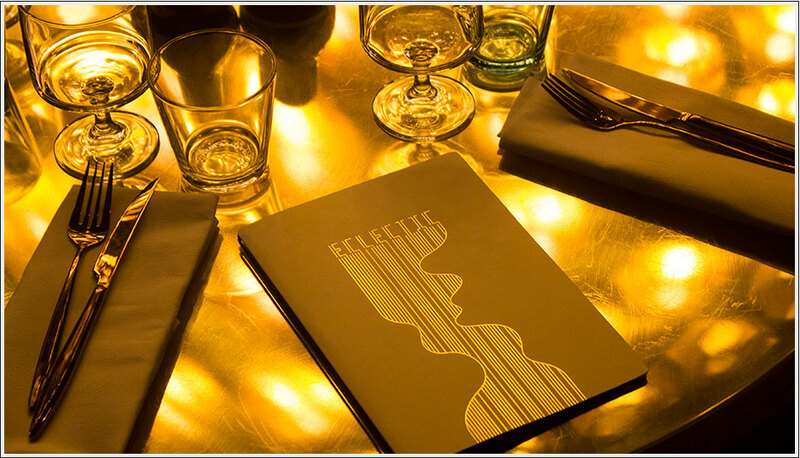 The eclectic menu offers a wide range of products inspired by international cuisine : seafood, steack house, fish and chips and delicious pastries from the famous Pâtisserie des Rêves .